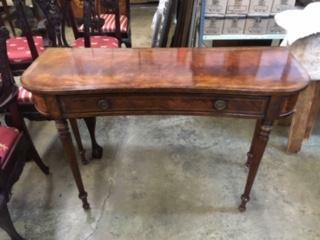 English Style Inlaid Pieces, Hickory Chair Upholstery and More! April is off to a great start- No Fooling! 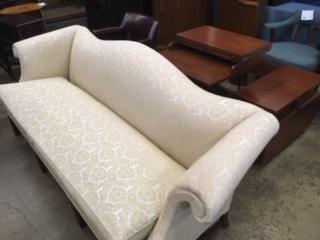 Come in today to see some of the pieces that arrived on our dock yesterday- April 2, 2019. 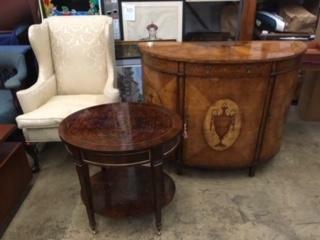 Inlaid Demilune Chest, Hickory Chair Wing Chair, Burled Mahogany Stand. Hickory Chair Camelback Sofa, Contemporary Lift Top Coffee Table. 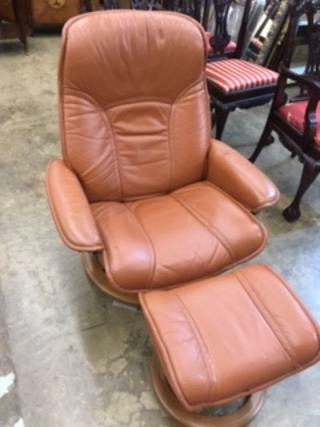 Brown Leather Eames Style Chair and Ottoman. 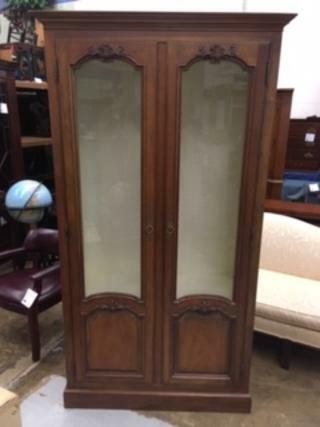 French Style Baker Tall Cabinet. English Style Inlaid Hall Console – Server.